Pictured as: the Anna Foss (Foss Launch and Tug) Photo by: P.S.M.H.S. Built in 1944, by the Barbee Marine Yards of Seattle, Washington (hull #LT 377) as the LT-377 for the United States Army. 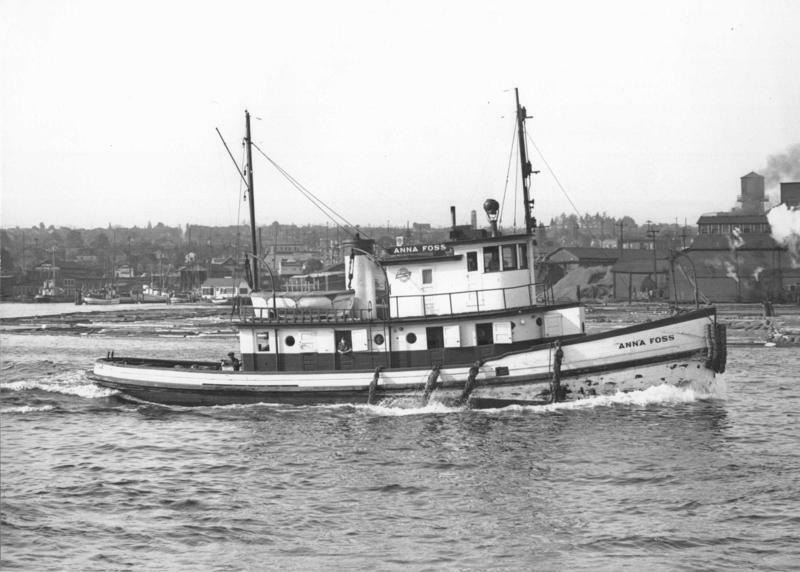 In 1946, the tug was acquired by Foss Launch and Tug Company of Tacoma, Washington. Where she was renamed as the Donna Foss. 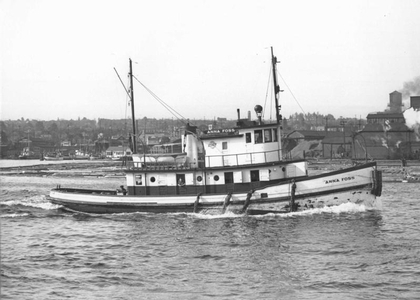 In 1970, the Foss Launch and Tug Company renamed the tug as the Anna Foss. In 1970, the tug was acquired by Philippine interests. Where she was renamed as the Bruin. In 1978, the tug was "laid up." She is no longer listed in documentation. Her current, and, or final disposition is unknown. United States Army, Foss Launch and Tug Co.